Free shipping. Buy direct from HP. See customer reviews and comparisons for the Schneider Electric Power Strip 6 Outlet 2 Foot Cord Dual Pack 120V Black. Upgrades and savings on select products. 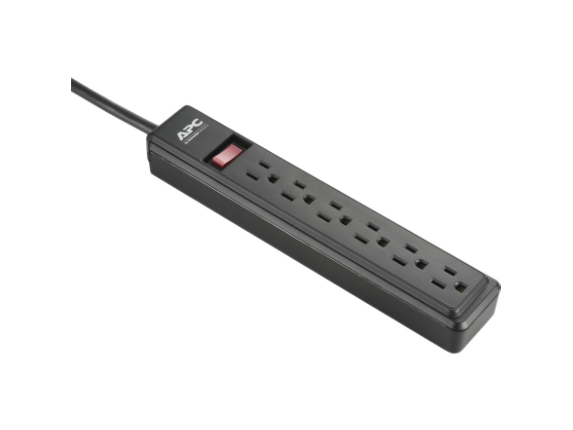 The APC PZ62BDP power strip 2-pack is the perfect fit for any household electronics. Each has six outlets, a 2-foot power cord, and a slim design to ensure you will have the convenience and versatility to meet your needs. The PZ62BDP power strip bundle are the perfect fit for any household electronics. Six outlets, a 2-foot power cord, and a slim design ensure you will have the convenience and versatility to meet your needs.